HTC has made some really solid phones over the past few years, but it never seems to get the attention other top-tier manufacturers get when they reveal a flagship phone. The very latest offering to roll off HTC’s assembly line very well may change that. The HTC One is aiming to capture the eye of smartphone shoppers with a premium-quality look and feel. Whether it’s able to translate its strategy to sales will take some time to know for sure, but there’s enough unique features on board this phone to make things interesting. Apple’s not the only one that can offer a high-quality shell for its phone. The HTC One features an all-aluminum housing that will give the handset the ability to make a better impression upon first touch. HTC hopes it’s silver look and firm feel will set the phone apart in retail stores. The casing works its way around the phone and is able to create a seamless look with what HTC is calling “zero-gap construction.” By placing its antenna in the metal backing of the phone, the HTC One avoids the structural issue of the iPhone 5 which required a piece of glass to allow the phone to send and receive signals. Like any new smartphone that hits the market, we’re all scrambling to see the numbers because those are the easiest things to compare to other devices without physically having them. The HTC One is no slouch in the spec department. 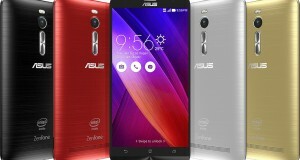 It’s powered by a 1.6GHz quad-core Snapdragon 600 processor, which is paired with 2GB of RAM. Internal storage begins at 32GB, though there is a 64GB model. There’s no SD slot on board for expanding memory. The battery, which is embedded in the phone, is 2,300mAh. The device also has Bluetooth and NFC capabilities. The screen on the phone measures in at 4.7 inches. The LCD display packs in an impressive 468ppi with 1,920×1,080 pixels. That pixel per inch ratio blows away anything else on the market at the moment and beats phones like the Blackberry Z10 and the iPhone 5 by over 100ppi. Needless to say, this is a sharp display.The dimensions of the HTC One vary slightly depending on the model. One of the options has nearly the exact same size as the Droid DNA, also an HTC phone. At its largest, the HTC One comes in at 5.4 inches tall by 2.7 inches wide with a thickness of 0.37 inches. At it’s smallest, it keeps its height and width by slims down to just 0.12 inches, making it one of the thinnest smartphones around. The device weighs in at about 5 ounces. 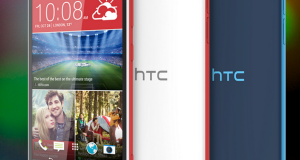 Continuing its partnership with Dr. Dre’s Beats Audio, HTC has allowed the sound system of the HTC One to get the Beats treatment. The phone comes equipped with two front-facing speakers, one at the top of the device near the ear and one at the bottom by the mic, which will pump out the sound with ease. This dual-speaker set up has been dubbed BoomSound. HTC says the speakers provide a true stereo experience when playing music or movies. The speakers are said to be able to achieve 93dB sound level. If you like dual speakers, you’ll love dual membrane microphones. HTC claims the One’s microphones are capable of recording high definition audio, whether you’re talking straight into it or you’re holding the phone up at a concert and trying to capture the sounds of the show. Of course, the microphones should also increase the sound quality on your calls if you’re one of those people who still uses your phone to make phone calls. One of the big draws of the HTC One is its camera, which is said to be a revolutionary feature. The idea of the ‘Ultrapixel,’ as opposed to the megapixel, is that it uses larger individual pixels to improve low-light performance and reduce noise in the images by capturing more light – 300 percent more, to be exact. The camera itself clocks in at just 4 megapixel, which is deceivingly low because of the Ultrapixel feature. Because it has less pixels it can fit 2.0 micron pixels, which is more than you see on the average 8-megapixel camera or even the higher 13-megapixels offerings out there. 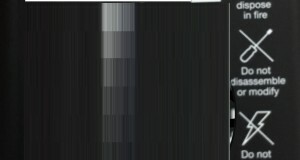 The smaller pixels found in those higher pixel-count cameras catch more noise when trying to pull in light, which the Ultrapixel won’t. It will likely require some side-by-side tests and playing around with to see the results, but HTC is sure it will speak for itself. Also featured on the camera is the HTC Zoe. This allows users to snap five pictures before pressing the shutter. It also captures 15 pictures after taking the picture, allowing them to browse through plenty of pictures to pick which is best. This feature also allows for three seconds of video to be recorded alongside the pictures. High definition recording and image stabilization is also available on the device. While the HTC One will be running Android 4.1 as Android 4.2.2 is beginning to be released, HTC believes its new and improved Sense skin will make all the difference that the small jump in the operating system cannot. Sense 5 comes with some HTC standards like the time and weather widget on the lock screen, but has quite a few notable differences from previous versions. It’s first big feature is BlinkFeed, which makes the homescreen have a bit of a Flipboard style feel to it and allows users to scroll through feeds from their favorite websites, social media accounts, and calendar information. Another feature that is in place with the help of Sense 5 is Sense TV. This works in tandem with the HTC One’s infrared sensor to turn your phone into a remote control for your television. The HTC One will have a sizable reach, becoming available in 80 different countries and on 185 carriers. 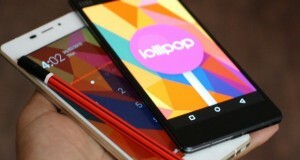 The device will become available in March of this year. 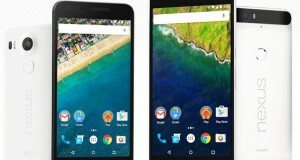 While no official date is set, it will launch after March 15. 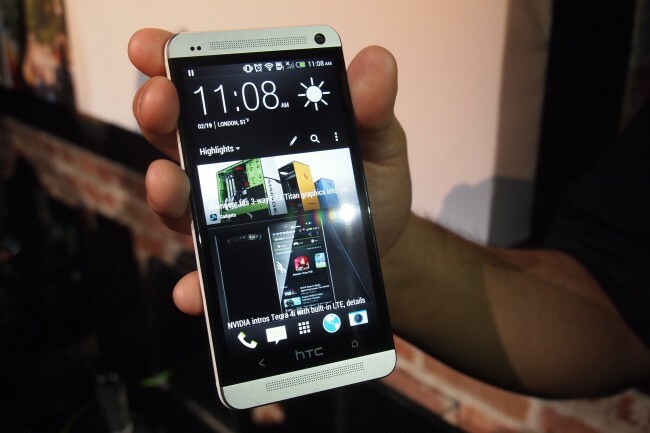 Carriers in the U.S. that will have the HTC One available include AT&T, Sprint, and T-Mobile. All four major UK carriers – O2, EE, Vodafone and Three – and all four Canadian carriers – Rogers, Bell, Telus, and Virgin Mobile – will carry the device as well. While no price point has been set yet, HTC has announced that it will offer $100 off to anyone who pre-orders the handset and agrees to trade in their current device in exchange for the HTC One.